If any of our competitors or spectators have any photos of the angling event or of the Medal Ceremonies please post them to this site or forward them to me at steve.hajdasz@fairfax2015.com or sphajdasz@gmail.com. I'm sure there are lots of photos out there that would like to be seen by all. Just to let everyone know.....Once the registration closes I will be sending out notifications for the pairings and team assignments. At this time there are still more non boaters than there are boaters and I am looking for volunteer boat captains so the number of non boaters that will be unable to fish will be minimizes. If you are one of our local competitors who knows someone who is willing to help out have them contact me ASAP. I'm pretty well connected in the local scene. Can you give me some details on what you're looking for and I'll send out word to the locals. Landing nets are permitted. Not only for the ease of landing fish, but it makes it safer for the fish and causes less harm. I am currently working on obtaining volunteer boat captains for those extra non boaters who entered the competitions, once registration closes I'll have an idea of how many I need and will try to keep the entrants informed. In reference to the angling events I must have the answers to the following questions if you are entered in the Team Angling competition. Please send your replies to steve.hajdasz@fairfax2015.com If you do not respond I will not be able to complete the pairings and you may be left out of the competition. Team events (Heaviest Bag and Heaviest Fish) 1. Are you a boater (bringing a boat to the competition) or fishing as a non-boater (planning on fishing on another’s boat)? 2. Are you already paired with a partner? If so, what is your partner’s name? 3. If you are not currently paired with a teammate and wish to be paired with a partner, are you a boater (bringing a boat to the competition) or a non-boater? 4. In the team Biggest Fish competition both teammates must be entered in the Biggest Fish event. Are you entered in the Biggest Fish competition? Is your partner entered in the Biggest Fish competition? If you do not respond I will not be able to complete the pairings and you may be left out of the competition. 1. Are you a boater (bringing a boat to the competition) or fishing as a non-boater (planning on fishing on another’s boat)? 2. Are you already paired with a partner? If so, what is your partner’s name? 3. If you are not currently paired with a teammate and wish to be paired with a partner, are you a boater (bringing a boat to the competition) or a non-boater? 4. In the team Biggest Fish competition both teammates must be entered in the Biggest Fish event. Are you entered in the Biggest Fish competition? In reference to the angling events I must have the answers to the following questions if you are entered in the Individual Angling competition. Please send your replies to steve.hajdasz@fairfax2015.com If you do not respond I will not be able to complete the pairings and you may be left out of the competition. Individual events (Heaviest Bag and Heaviest Fish) Are you a boater (bringing a boat to the competition) or fishing as a non-boater (planning on fishing on another’s boat)? If you have already responded to these questions you may disregard this notice. Are you a boater (bringing a boat to the competition) or fishing as a non-boater (planning on fishing on another’s boat)? These Fishing jerseys are now available to order see the below posts to obtain ordering information. 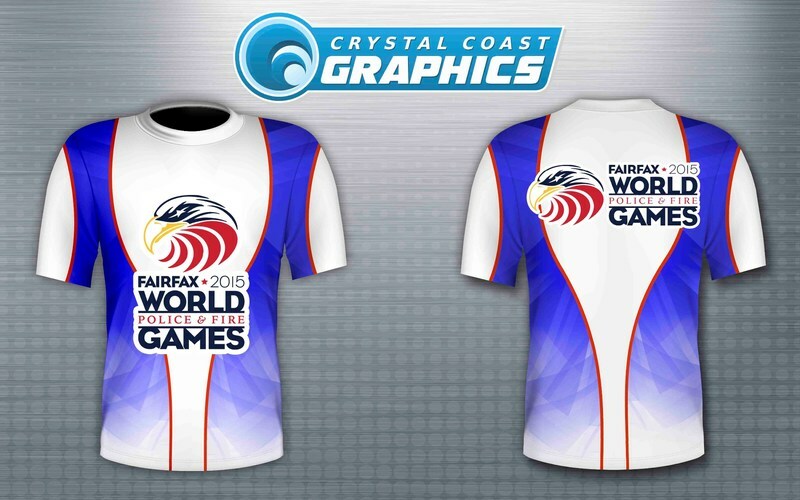 The Fairfax 2015 WPFG fishing jerseys have been approved and are now available. They can be ordered through Crystal Coast Graphics at www.crystalcoastgraphics.com or by calling Chris Ulman at (910) 219-7720 Photos and more information can be obtained by looking at the post on the angling page. Potomac River Charts are available from GMCO Maps & Charts. 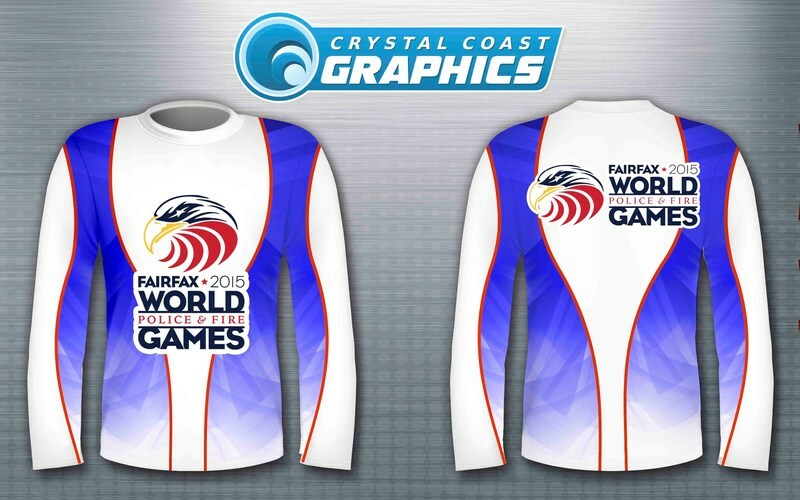 www.gmcomaps.com The owner of GMCO Maps has agreed to mark each Potomac River map with the Fairfax 2015 logo. To obtain one of these maps go to the website www.gmcomaps.com and place your order, then go to the "contact us" tab and send a message with your name, noting that you are a competitor in the angling competition for the WPFG and have placed an order for the Potomac River chart and the Fairfax 2015 Logo will be affixed prior to shipping. The owner of GMCO Maps has agreed to mark each Potomac River map with the Fairfax 2015 logo. merry christmas to one and all,happy new year,see you all soon ashley. I would assume that the costs will be posted when the registration opens. I believe that will be sometime around October 1st. In the near future I will be covering the license requirements and how to obtain them. Just a note to those of you who are planning to fish in the WPFG event. I would recommend that you book your accommodations as close as you can to the venue. This will make trailering your boat to the venue easier and for those of you without boats it will be easier to bring your equipment, and to meet up with boaters for practice fishing and getting together. A 16 Ft deep vee should be okay, I have used a 16ft boat on the Potomac in past years. I would not go any smaller as that in my opinion would be unsafe. The Ranger would be a great upgrade..... you would love it.... especially on the Potomac. If you get a chance take a look on Google Earth and see what the Potomac River looks like in the area of Pohick Bay. Just as a point of reference, I fish the Potomac a lot and I run a 20 foot Bass Cat Cougar bass boat with a 250 hp motor. I would recommend nothing smaller than a 16 foot boat with a 50 hp motor. And that would be pushing the envelope. The Potomac River is a large body of water, that can get rough during windy or inclement weather. What size and type of boat are you planning to bring? Every effort will be made to pair up everyone that attends and wants to participate. I would venture to say that the earlier you register the better your chances are to be paired with a boater. Also if we have a few non boaters more than boaters, I hope to have a few people who will volunteer to be boat operators.